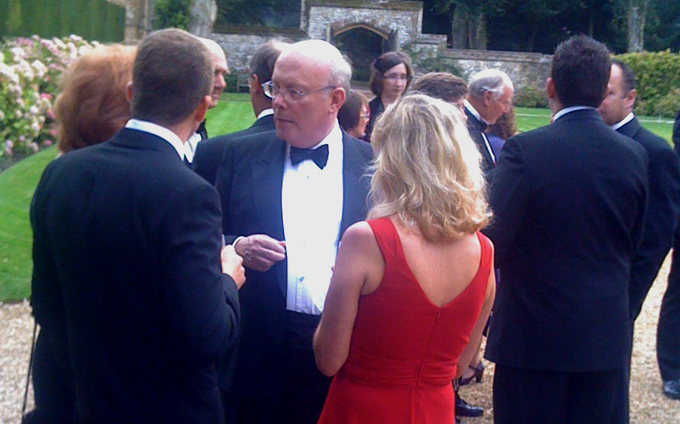 Last night I went to Athelhampton House for the UK film premiere of ‘From Time to Time‘, directed by Julian Fellowes. The family film is a haunting ghost story spanning two worlds, two centuries apart. When 13-year-old Tolly finds he can mysteriously travel between the two, he begins an adventure that unlocks family secrets laid buried for generations. The whole movie was shot on location at Athelhampton House to watch it where it was actually filmed was a unique experience; I urge you to do likewise. Athelhampton House will be screening the film from today in its own little cinema. Achieves something that is very rare in recent years: a great British family film.